Happy Transit Driver Appreciation Day! 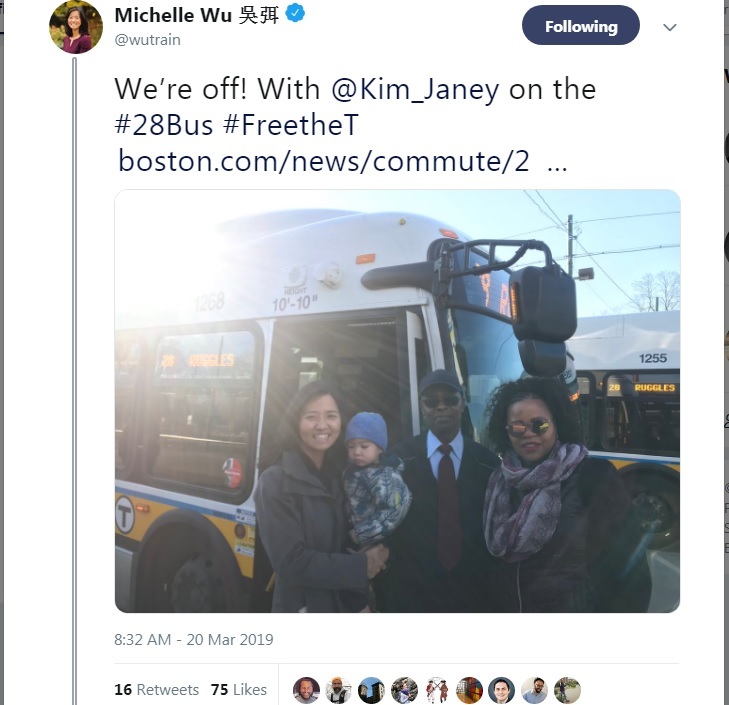 Boston City Councilors Michelle Wu and Kim Janey took the Route 28 Bus this morning and tweeted about their trip, which you can read here on Twitter. At the end of their trip, they tweeted, “Thank you to our great driver François for a smooth ride!.” We applaud them for their dedication to public transportation. 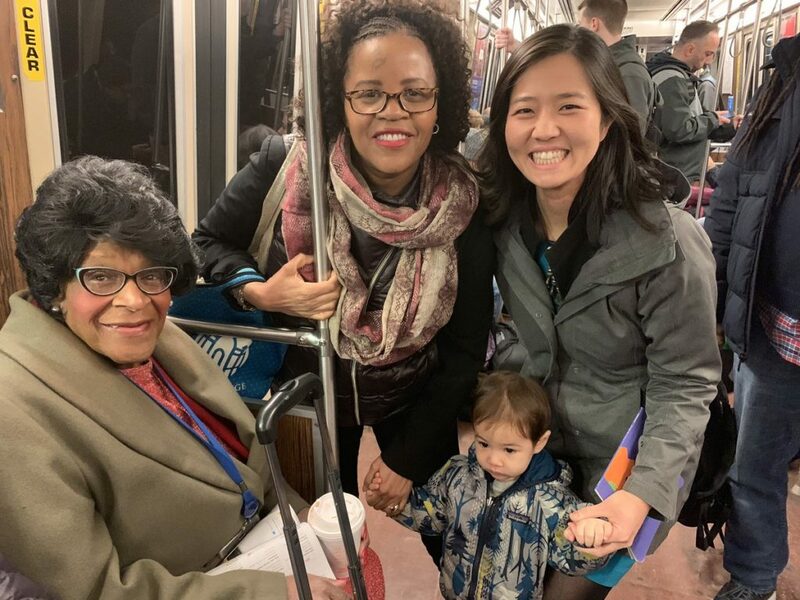 After getting off the bus and getting on the Orange Line, they ran into Boston City Councilor Althea Garrison. Great to see our public officials utilizing our public transportation system.